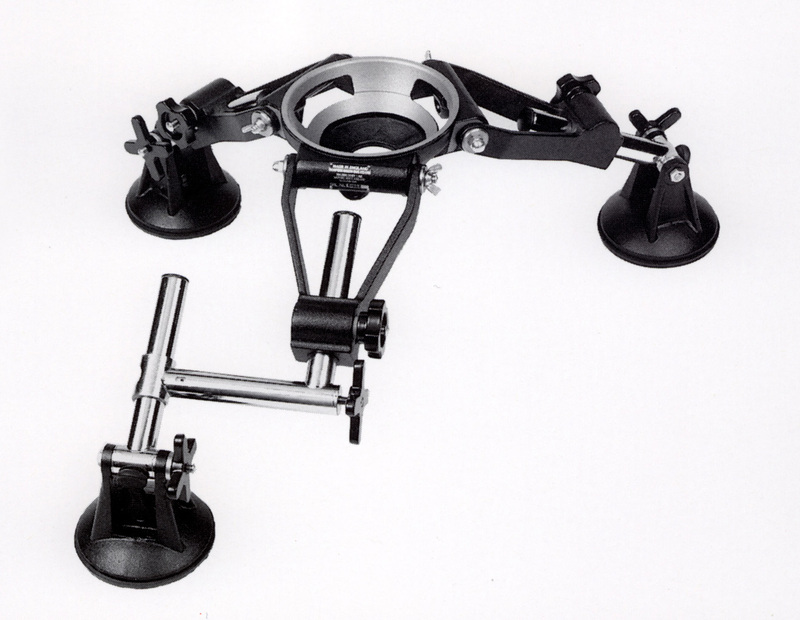 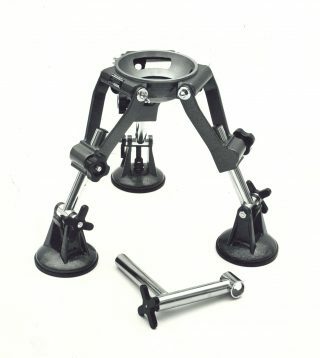 Pivot from head and terminate in very efficient nylon cam clamps operated by large diameter handwheels, make the changeover from one set of legs to another a matter of seconds. 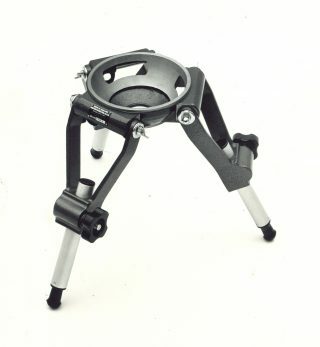 The combination of legs covers any height from floor to 2’ 11” (88.9cm). Castings are anodised and stove enameled black texture. 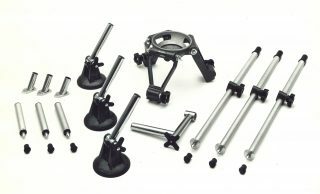 Tubes are polished and satin anodised. 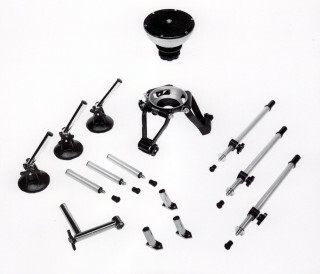 Steel parts are chromium plated. 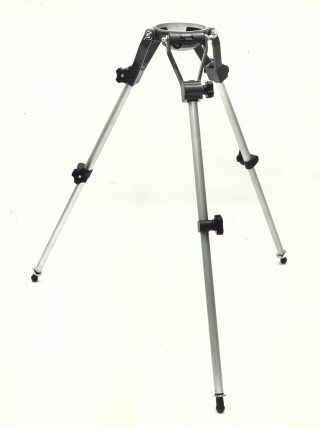 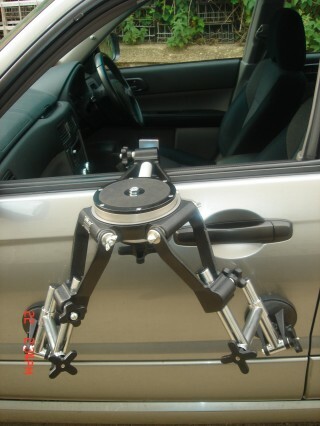 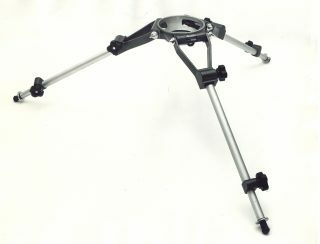 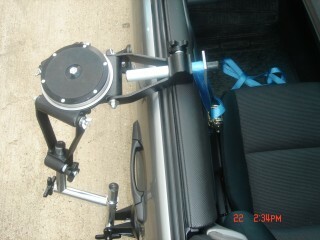 Tie down points are provided on head and bottom of telescopic legs.